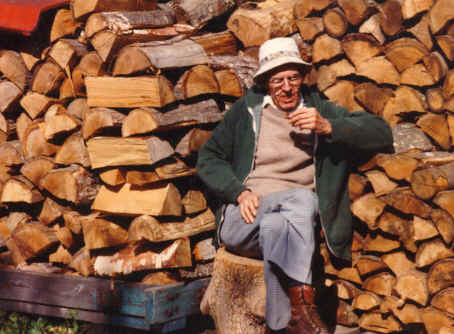 I thought you might enjoy these photos of my granddad with his wood pile, circa 1980, and me, with my wood pile, circa last weekend. All the wood in both photos was split by hand, with a maul. That’s how we do it. This entry was posted on September 11, 2012 at 7:05 pm and is filed under Uncategorized. You can follow any responses to this entry through the RSS 2.0 feed. You can leave a response, or trackback from your own site. Hope you receive at this address. hi, good to show the two pics side by side. 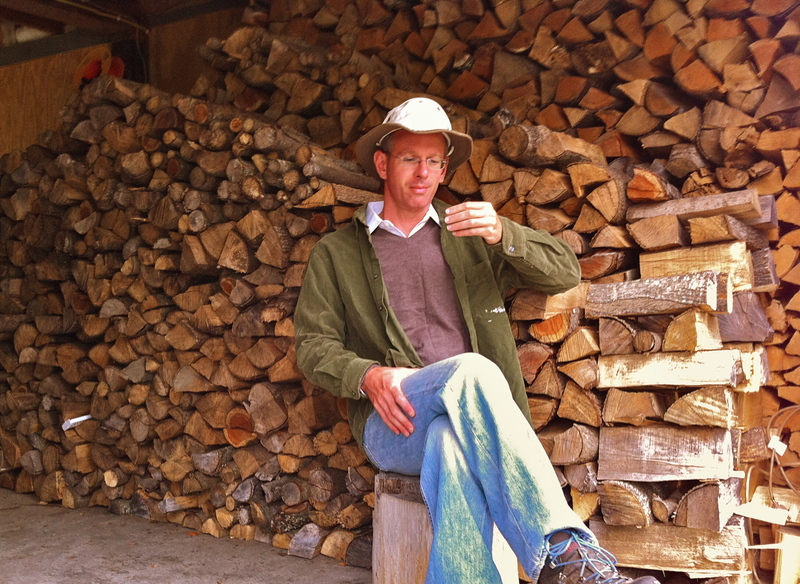 nothing seem to have changed with the woodpile. i enjoy your winter posts about your indoor temperature , esp the graphs. tell me what does a maul look like, is it an axe by another name? also what is the indoor temperature now and in summer. do u record them and have u kept graphs of them? i was wondering how high it gets indoors in summer. A maul isn’t quite the same as an axe. It has a wider, heavier (8 lb) head, and a straight handle. It’s for splitting logs into stove-size pieces of wood. I’d like to tell you how warm it got inside in the summer, but at the moment seem unable to find the cable for my datalogger. I doubt we got over 85, probably rarely over 80.